Hitchhiking: from Dresden to Prague | What do I travel for? What do I travel for? Come on in and find out what are the amazing thing that make us want to travel more and more. 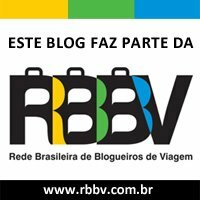 Gostaria de ler esse post em Português? Clique aqui. Dresden was a surprise on my itinerary. I hadn’t planed on going there in the beginning, but after being told good things about there by several people I started to think more about going there. There’s no need to speak much to convince me to go somewhere new, and as soon as I realized that Dresden was on my way from Berlin to Prague, I decided to make a quick stop. I arrived in Dresden with no place to stay, thus I posted on a “last minute request” group on Couchsurfing, and while wandering around the city, one guy answered my request. He told me he would be busy with a meeting on his house and wouldn’t be able to give much attention, but I would have a place to sleep. It turned out he didn’t have time at all and I only slept there. If the famous “couchsurfing experience” didn’t happen, at least his house was close to the spot I wanted to hitchhike to Prague. I don’t mind walking a lot, in fact it’s my favourite way of visiting a city, so with the sun shining on my back, I walked for nearly one hour and a half to get to that spot I wanted. I hope you also don’t need much to visit Dresden, as it’s an amazing small and charming city with beautiful monuments. I want to go back there one day to enjoy the night-life (I’ve heard it’s great) and to explore it’s surroundings. By that time I already had some experience hitchhiking, so my idea was to try a long lift for about 30 minutes and if there was no sign that someone was going there, I’d try short lifts. Therefore, I putted on a sing to Prague and my thumbs up on the road. After waiting with no sign that somebody was actually going to Prague, I’ve change my sign to Pirna, even thought it wasn’t my intention to go there. My idea was to get a lift with somebody going o Pirna so they could drop me off on a service station on the road to Pirna. This service station was only 15 minutes away by foot from where I was, but it’s forbidden to walk along a motorway in Germany, so I figured it would be easy to get a lift until there, and from there I would certainly get a lift to Prague. Less then 15 minutes after I changed my sign, a guy stopped and agreed on dropping me off on the service station. I got into his car and we started talking, even though the service station was less then 5 minutes away. Perhaps that I was my mistake, ’cause while talking he overtook a truck right in front of the service station’s exit and we miss it. He apologized for that and told me he would drop me off on the next service station. The problem was that there wasn’t any other service station before the exit to Pirna, and he couldn’t let me on the road, as the only lift I would get there would be from a police officer. Once in Pirna I had two options, either take smaller roads until the Czech Republic and once there try to get to Prague, or go back to Dresden and try again. I decided that’d be easier to get back to Dresden, as there I would get more traffic going to Prague. Thus I putted back on my sign to Dresden and in less then five minutes I guy stopped. He didn’t speak any English though, so after some miming he got that I wanted to go to Dresden and from there to Prague. What he didn’t get is that I wanted to go back to the spot I started, and just like that we drove around there and he didn’t stop. He ended up dropping me off near my host’s house, letting me again one hour away by foot from where I wanted to be. So there I was, walking back to that spot. I thought that this time I wouldn’t wait for sucha short lift, I would take the risks and walk along the motorway. I thought I wouldn’t be so unlucky to find a police office on my way. I wasn’t unlucky indeed, and nothing happened during this short walk. And as I approached the service station, I saw a car driving in. I told myself: “This is gonna be the car that will get me to Prague.”. Once in the service station, I saw a guy standing right beside that car I had just seen, smoking his cigarette. I walked by and asked if he was going in Prague’s direction. He told me would pass around Prague, and that he could drop me off somewhere around there. We took off, driving over 200 km/h in his Volvo. I had never been in a car that fast and it was a bit scary in the beginning, but after I short while you get used to it. The strange part was when we reached Czech Republic’s border and suddenly we were driving around 80 km/h. It seemed as if I was walking again!!! ahh, great story. I love to see people hitchhiking. You meet the most interesting people doing that. I got stranded in the middle of Saudi Arabia and fortunately hitchhiking saved the day for me. Born and raised in São Paulo, I'm currently living in Lyon. In 2012 I moved to Dublin to study English for one year and this experience changed my life completely. I'm passionate about travelling and the encounters it provides. I have travelled around 17 countries; hitch-hiked in 8 of them, getting lifts from 33 different drivers; slept in 16 different houses using Couchsurfing and enjoyed each one of those amazing experiences. Facebook page of the blog "What do I travel for?" Twitter of the blog "What do I travel for?"